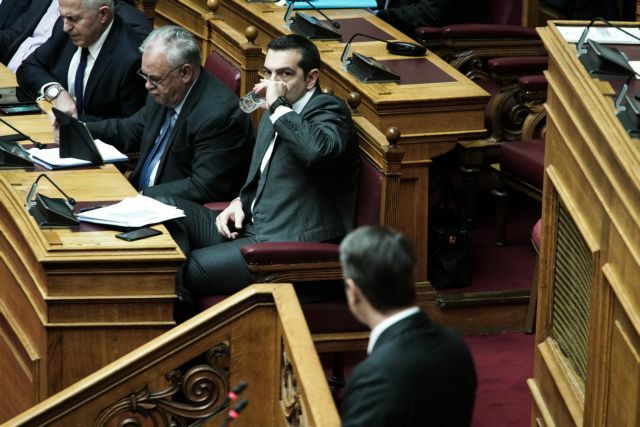 Editorial: Elections now Mr. Tsipras! The ideology and complexes that guide ministers and cadres do not permit the necessary leap forward. They reward inertia. The clash over the last days, the tense atmosphere, and the great antitheses and absolute division that characterised the debate over the Greece-FYROM Prespa Accord, have cast a heavy shadow over the country. Though it managed to ratify the agreement the government has been wounded and disputed and exhausted. It is far from the Greek people and very far from national and other concerns that bedevil the citizens of our tortured country. To win two crucial votes in Parliament (the confidence vote and the Prespa Accord ratification) the government had to resort to police violence, to deny allies, to use vulgar methods, and to violate decades-long parliamentary practice . In the end it rocked the cohesion of parties and political forces and undermined democratic institutions. Along with its Machiavellian practices it highlighted dogmas and fixations that determine its actions and its problematic performance. Following ratification of the Prespa Agreement, in the little time left for the government one will see its deficiencies, burdens, and inability to effectively manage the country’s crucial challenges. There is a danger that things will worsen, especially economically, and that the country will soon be confronted by a new crisis. Throughout the ratification battle the government was strictly evaluated for the delays and reservations that are typical of its economic policy. The government is fatigued and its parliamentary majority is at the verge of collapse. The ideology and complexes that guide ministers and cadres do not permit the necessary leap forward. They reward inertia. Isolated from the Greek people, burdened with politico-ideological fixations, and with a limited understanding of the contemporary world, Mr. Tsipras cannot keep up with international trends and approaching developments, nor can he inspire and create a climate of progress and development in the country. The circle of ideas and perceptions that accompany him do not suffice. They are lacking, and they do not permit the people to harbour expectations and hopes. In the time left in his term the PM will apparently engage exclusively in vote-mongering. He will carry on by extending division to the economic field, thus raising obstacles to and delaying the exit from the crisis. The country however cannot afford the luxury of a long wait, and elections cannot be put off. 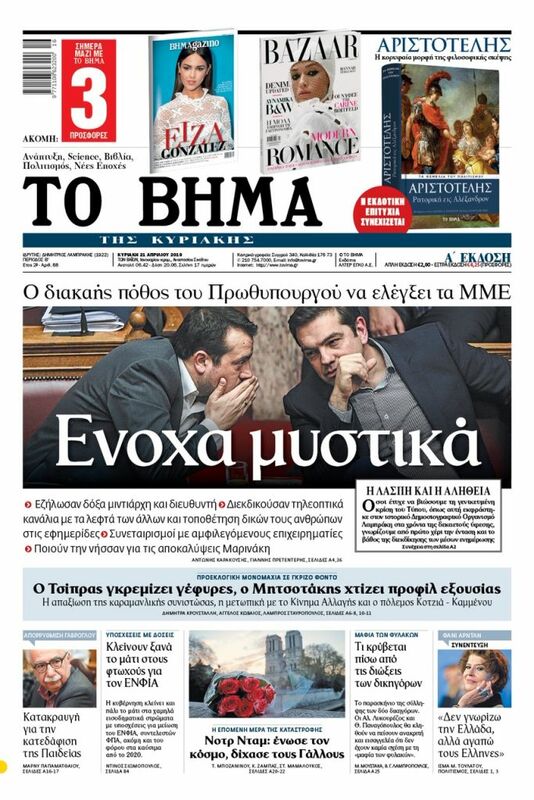 Mr. Tsipras is obliged to expedite a general election, and that is the only national service that he has a duty to offer. Following the absolute division triggered by the Prespa Agreement, the country needs policies that renew and unify political forces. Greece needs an inspired leadership that is able to catch the signs of the times and meet the requirements of the contemporary world. Greece needs leadership that can again unite the people and lead to paths of creativity, progress, and growth. It must be a leadership armed with convictions and force that is ready to thresh out and implement faithfully and boldly a plan of national rebirth and reconstruction. There is no room for division. There is no excuse for delay.